Japanese Morning Glory seeds, Ipomoea Nil, SHIBORI ASAGAO Mix. 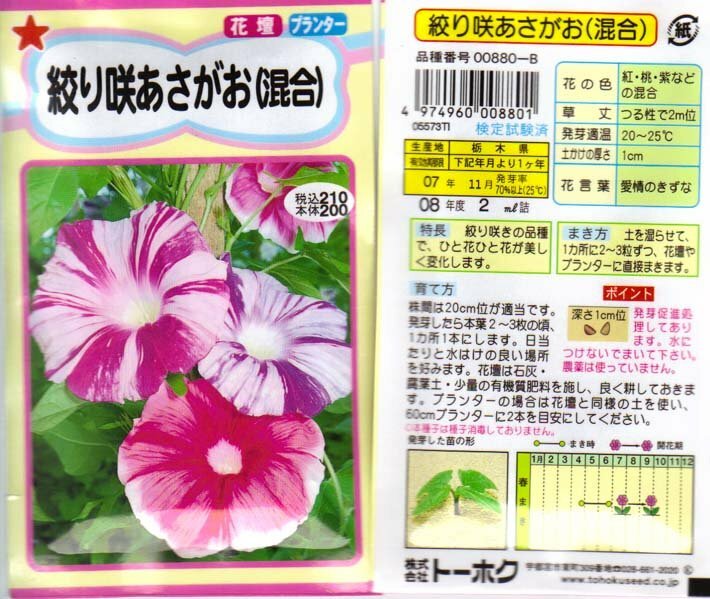 Not sure what Japanese Morning Glory Seeds: kind to get, how about getting a MIX of several kinds of large flowered, STRIPED Japanese Morning Glory Seeds:''s in one pack? In original package from Tohoku Company in Japan!! 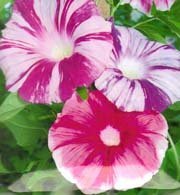 You are buying a MIX of SHIBORI ASAGO JAPANESE MORNING GLORY (Ipomoea nil) SEEDS. This pack has a mix of several different kinds and colors of STRIPED (Shibori = Striped) Japanese Morning Glories. I cannot guarantee which ones will be in the pack and it may not be the ones pictured. These seeds are fresh seeds and ARE IN THE ORIGINAL SEED PACKAGE FROM THE TOHOKU COMPANY IN JAPAN. These are not home-grown but professionally grown and packaged in Japan. You are getting the pure, original seeds here (not crossed)! All the Japanese Morning glory seeds I've planted this year have had EXCELLENT germination results! 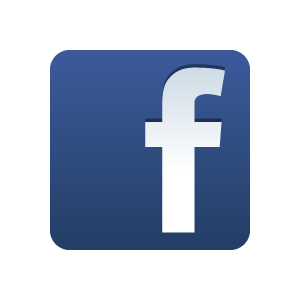 Not only that - but you are getting the original package, which is a work of art in itself! **NOTE: I do not know exactly how many seeds are in these packs. It doesn't say on the package (Even in Japanese! 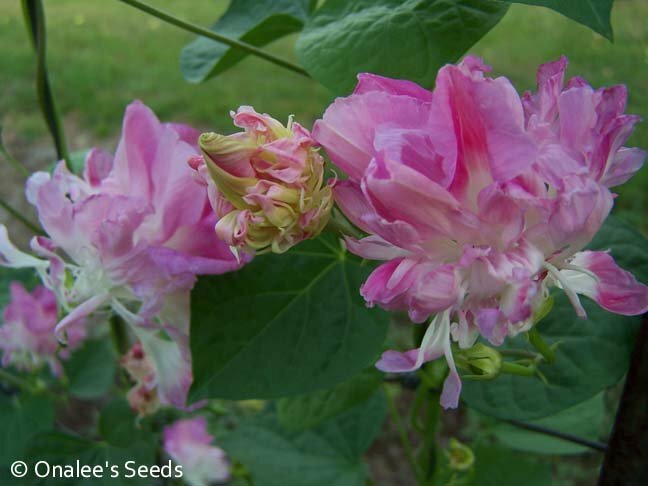 ), but, according to the company's web site, there are between 20 and 25 seeds per pack.